We invite you to observe Maundy Thursday with us at Covenant Church. Holy Communion will be served. 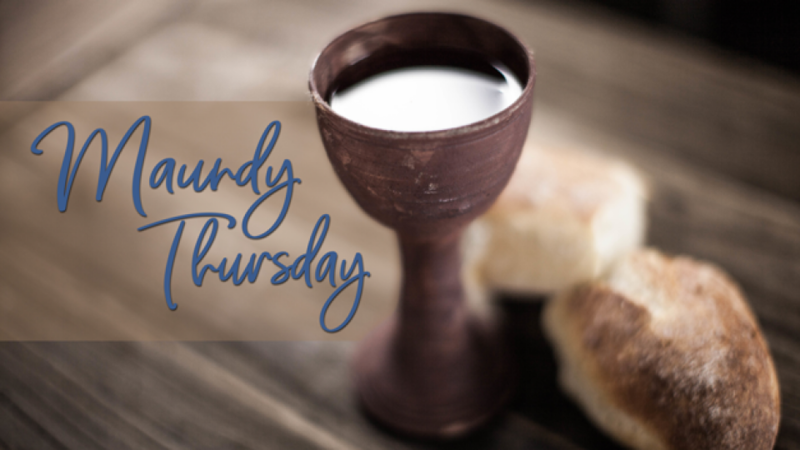 Maundy Thursday is the first of the three days of solemn remembrance of the events leading up to and immediately following the crucifixion of Jesus. As recorded in John's gospel, on his last night before his betrayal and arrest, Jesus washed the feet of his disciples and then gave them a new commandment to love one another as he had loved them (John 13:34).